Pre-Buy for the Seller | Tennessee Aircraft Services, Inc.
We all know, or should know, how important it is to get a proper prepurchase evaluation. The thought of a prebuy is almost always considered from the buyer’s point of view. That is to say, evaluate the plane’s condition to guard against a huge unexpected expense at the first annual inspection under the watch of the new owner. It is in the seller’s best interest that the prebuy go well, so why not prepare for it? Preparing for the future prebuy is something an owner should start considering the day he/she purchases a plane. This may be an odd concept to some, but it makes perfect sense. Almost every aircraft purchase is followed by an aircraft sale, eventually. One should want the airplane to be in such a condition at the sale that few or no problems arise. The history of the plane should be obvious and well documented. There are several ways to ensure this is done over the expected years of ownership. There is an old school joke that log entries should be “lost” as soon as there is any indication the FAA is looking for them. This would typically be just after an accident or incident. The theory is that one wouldn’t want the FAA to know what’s in the books. This always bothered me as I wasn’t sure which party the action protected; the owner or the mechanic. In reality, it is in everyone’s best interest for aircraft maintenance records to be complete, correct, current, and available. During prebuy it looks pretty sad when the log entries are so abbreviated that one isn’t sure what was done. Just stating “AD872010 complied with” gives the reader little confidence that there was much attention to detail and no idea what was actually done to comply with the AD. Ten years of ownership should generate more paperwork than just nine stamps in the books that say an annual inspection was completed. It draws suspicions of how a plane could go an entire year, much less ten years, and not have any sort of servicing or repairs. One would expect at least an oil change or a tire change once in a while. There is an expectation that some servicing would be performed and documented during annual as well, such as setting flight control cable tensions, spark plug service, oil filter inspection, and fuel screen inspection. Good detailed entries show an interest in good workmanship. 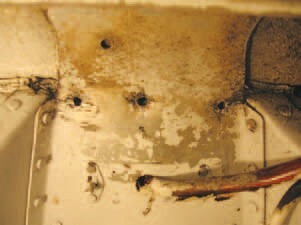 Fuel control inlet screens should be checked at every annual. They are often missed. Wouldn’t want to find this during a pre-buy. Of significant interest to a buyer is whether the plane has had long periods of inactivity. Sparse log entries feed the fear that the plane sat silent, which is never a good sign. We encourage owners to fly frequently to keep all those important parts moving and lubricated. One flight hour per week is only 52 hours per year. One hour every two weeks would be just about as good and still only 26 hours. One or two log entries per year won’t encourage a prospective buyer that the plane was kept in flying shape throughout the year. General aviation has been introduced to some fairly new concepts in recent decades. Aircraft certified to FAA part 23 is one of those, which includes maintenance manuals containing an FAA approved chapter 4 called Airworthiness Limitations. Life limited parts or required maintenance listed in these chapters are FAA required. Compliance must be documented in the maintenance records for the aircraft to be airworthy. This is fairly common knowledge for the Columbia/Corvalis/ TTX owners, but is now also a reality for owners of the restart Cessna piston models. Owners want to ensure these items are well recorded. STC installations may have maintenance requirements in their certification that must be kept up. This would be specifically stated as FAA Airworthiness Limitations in the STC paperwork. 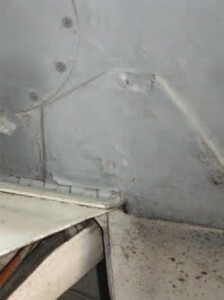 Cracks in primary structure at the top of a 210 wheel well connecting the top of the wheel well to structure aft of the fire wall. Rarely noticed. Possibly even more telling of an aircraft’s history is the engine monitor data. Recording monitors hold a wealth of information, not only about how the engine was run, but how often it was run. As a future seller of your plane, you want to be able to show how well the engine was run and that the cylinder head temperatures were kept low. Each engine operation data file is stamped with a date, so the frequency of flight can be readily shown. A savvy buyer will be looking through the engine data for signs that the engine had sporadic ground runs. Some owners falsely believe that running the engine once every few weeks, instead of flying the plane, is a good practice for engine longevity. This will show up in the engine data as very small files. Be sure these files are reviewed for actual engine operation as some monitors will record data anytime the ship’s master is turned on. A good engine monitor will reveal if engines were started in cold ambient conditions without benefit of preheat. Even if the monitor doesn’t record outside air temp, it will show cylinder head temps and oil temps at the start. Cylinder head temps below 40F with oil temps above 40F are good indications of at least oil preheating. This information is very important to a buyer since cold starts are probably the single most damaging routine event in an engine’s life. The monitor data can reveal how the engine was leaned. Regardless of which side of the rich of peak or lean of peak debate you’re on, knowing that the engine hasn’t been run at the peak of detonation margin is good to know. The stress imposed on the pistons and cylinder heads can be tremendous. As an owner, you don’t want to be flying in this dangerous range, and a buyer certainly doesn’t want to buy into the future cost of this operational history. A smart buyer will do his/her best to find a shop that specializes in maintenance on the make and model in question. These shops and mechanics can usually hit all the “hot spots” on a plane in an hour or two. 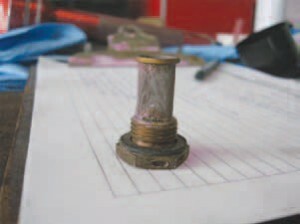 If you’re the seller, the prebuy is not the time to find out about some costly problem that’s common to the fleet. One solution is to use a specialist from time to time for the annual inspections. 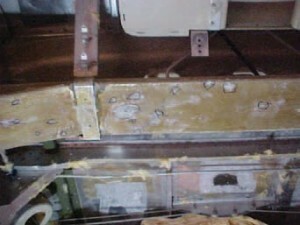 A 210 wing spar carry thru with structural corrosion pitting. A 210 specific mechanic might have caught this before the damage condemned the carry thru to trash. It’s amazing what can be found in just a few minutes when one knows what to look for. The occasional or even routine log entries by a recognized expert in your plane’s model show very well to a prospective buyer. Most maintenance providers are forced to be generalist and work on all sorts of makes and models. This doesn’t make them bad mechanics, but they just don’t have the luxury of spending a lot of time learning the idiosyncrasies of two or three models from a single manufacturer. 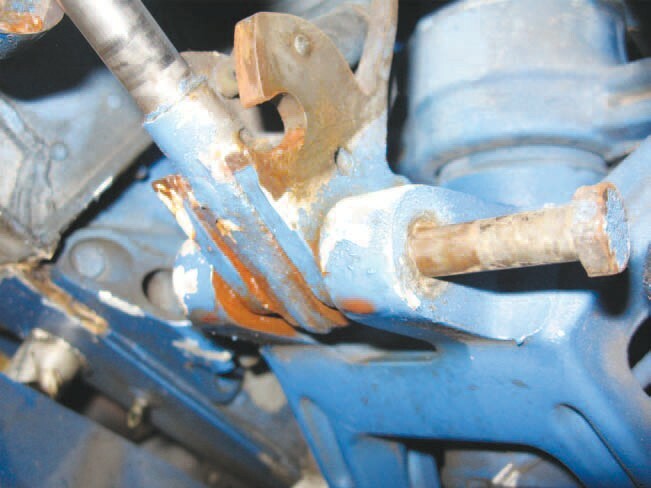 Infrequent flight is a very common cause for engine valve lifter rust which eventually will damage the camshaft. One would rarely inspect lifters during an annual but certainly would during a prebuy. Caught early enough, lifters can be replaced and save the camshaft. Ignored or missed means the new owner will be paying for premature engine teardown. Gascolator screen with many hours of debris. 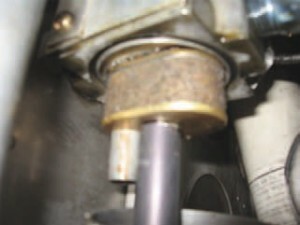 Indicates trash problems in the fuel system or the supplier. May also indicate it’s just not been looked at in a long time. Steel engine mounts are very strong and durable. However, the mighty nylon “zip tie” can saw a dandy slot in the 4130 Chromoly tubing pretty quick. Making sure no zip ties are used on these mounts is important. Cantilever wing mount dowel pin movement and attachment fitting Huck pin looseness should be monitored from time to time. These repairs will be expensive, and few shops are willing to do such invasive surgery. Keep a watch on important service bulletins. While bulletins aren’t mandatory unless referred to in an FAA Airworthiness Directive, they are very telling of trouble areas. Cessna’s built from 1976 and newer have Pilots Operating Handbooks. These are FAA approved documents and must be kept current. Currency can be determined by going to the Cessna Support website and checking your POH revision status against the listing from Cessna. This is an FAA airworthiness item, so you should keep it current at all times. Owning an airplane is not a passive exercise. It takes effort to ensure the best decisions are made with respect to aircraft maintenance. Reading technical articles in your favorite type club magazine, Cessna Pilots Association of course, is a great place to start. Monitoring the CPA forums for your model is tremendously helpful and educational. Having a good working relationship with your mechanic and finding an expert in your model can be very beneficial for knowledge and finances. Making good financial decisions in aircraft ownership for best results during a prebuy isn’t an FAA requirement by any means. Keeping one’s aircraft investment in good shape for the eventual sell is just sound business. Obviously, safety should be the primary motivator in all maintenance decisions. In a few decades of aircraft ownership and observing the decisions of other aircraft owners, I’ve found if maintenance is managed well over time, safety naturally follows. This nose gear down lock has been terribly neglected for a very long time. Ignoring something of this importance would tell a prospective buyer that lots of other things have been equally ignored.